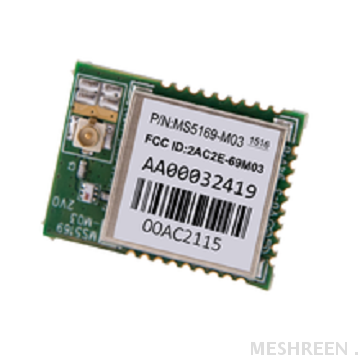 Taiwan JN5169 ZigBee Module | MESHREEN TECHNOLOGY LTD. 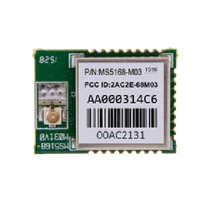 The MS5168-001-Myy family is a range of ultra-low power, high performance surface mount modules targeted for IEEE 802.15.4, JenNet-IP, ZigBee Light Link, ZigBee Smart Energy and RF4CE networking applications, enabling users to market the product at the lowest cost and least amount of time. This removes the need for expensive and lengthy development of custom RF board designs and test suites. The modules use NXP’s JN5168 wireless microcontroller to provide a comprehensive solution with large memory, high CPU and radio performance and all RF components are included. All that is required to develop and manufacture the wireless control or sensing products is to connect a power supply and peripherals such as switches, actuators and sensors, considerably simplifying product development. In high power modules, we have changed the power amplify from SiGe to RFaxis RFX2401C. 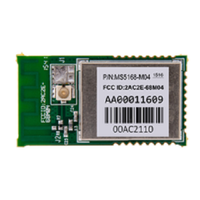 It integrates PA, LNA, Transmit and Receiver switching circuitry, associated matching network, and harmonic filter all in a CMOS single-chip device. 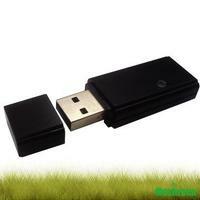 This helps to decrease the power consumption to as low as 50mA. You can refer to the links in the table above for detailed specification.